Hello, dear friends. 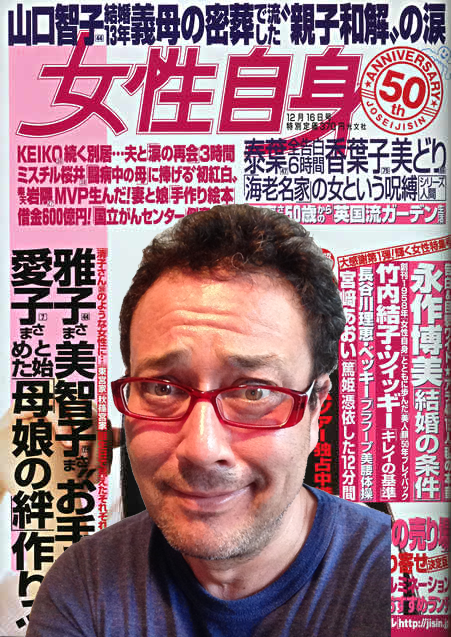 Today is a special edition of Gaijin Gourmet especially designed for you foreign gentlemen living in Japan! This article isn’t so much about where to eat, but about how to ask your potential date to go out to eat with you! For many of us foreigners, when speaking Japanese, we have a bit of consternation with hearing and speaking vowels in Japanese. So, foreign guys living in Japan, we must be very careful with our pronunciation with this phrases. Sometimes, it seemed like those girls were mad at me or in a bad mood after that. I could never figure out why. Here, all this time I was asking these girls to go eat chicken on sticks and drink booze with me, but they were thinking we were going to some ritzy hotel for candle light dinner and, who knows, a marriage proposal? b) You have a new girlfriend. 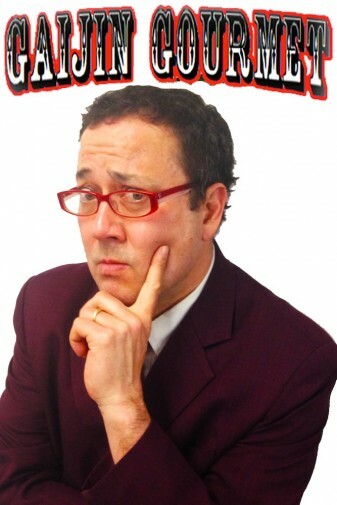 That’s me, the Gaijin Gourmet, Mike Rogers, signing off! 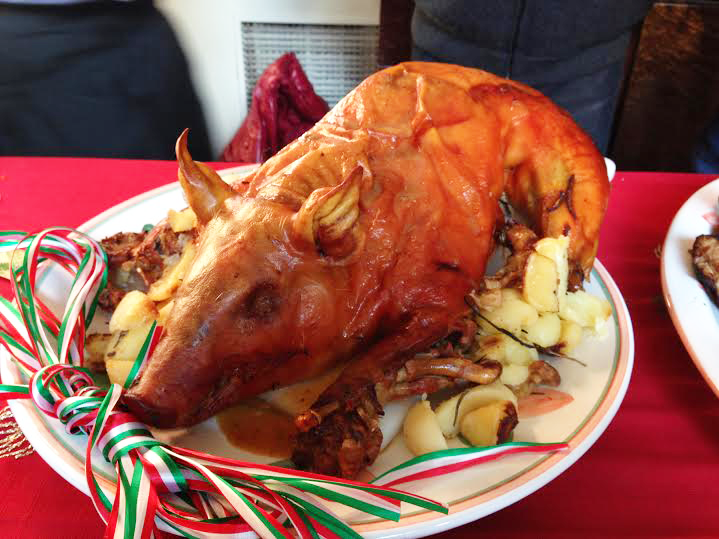 Gaijin Gourmet features a photo of a roast pig that doesn’t particularly have anything to do with this article. Enjoy! This article inspired by my dear friend, Enrico Ciccu… Who asks girls to go on vacations with him all the time. Top 3 Indies Artist Videos for July 25, 2015! Red Bacteria Vacuum! Perrosky! Rocket and the Atomic Stooges from Japan! Hey! We’re making Japan’s first ever Rock N Roll Horror movie! Check out the trailer here at the top of the page! 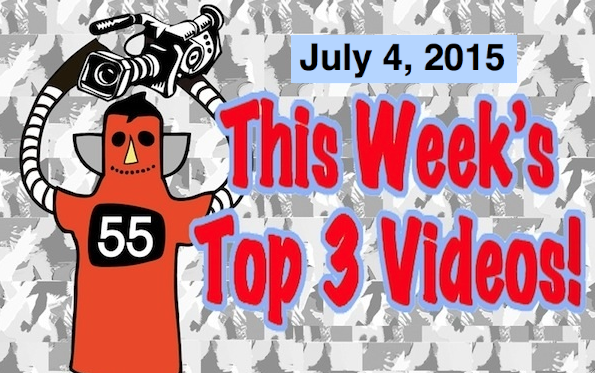 Here’s the Top 3 for the weekend of July 25, 2015! 1st up is a girl’s band from Tokyo! They are called the Red Bacteria Vacuum. Here’s their FB page. At #2 is Perrosky. Perrosky is a Chilean band formed by the brothers Alejandro and Álvaro Gómez, originally from the city of Copiapó, Chile. Their influences include rock and roll, folk and blues. Their newest was recorded, produced and mastered in New York by the modern rock’n’roll legend Jon Spencer. Rocket from Los Angeles tops the countdown this week. What do you get when you combine one of the best lead singers with one of the best bands in the Los Angeles indie music scene? ROCKET is what you get when you fuze together the vocal talents of Janelle Barreto (Exploiting Eve; Crush Girl Love Panic) with the musicianship of the established Los Angeles band The Pills. This week’s freebie is a trio from Osaka named the Atomic Stooges. They are playing at Fuji Rock Festival as I write. Thanks Mike, you are tops! See you on the radio tomorrow morning. Top 3 Indies Artist Videos for July 17, 2015! Time once again for this week’s Top 3! The Top 3 Indies Artists videos for the week of July 17, 2015! At #3 is a band from Finland named, Have You Ever Seen The Jane Fonda Aerobic VHS? The band’s acronym is the handy HYESTJFAVHS? And their flower garage has a punk attitude injected into garage rock and doo wop. And all this played with no guitar, instead building its distorted melodies with old Casios and sounding playful in the process. A friend turned me onto this week’s #2 artist. I forgot who my friend is (some friend I am, eh? ), but remembered the band’s name. They are called, The Whereabouts. Described by the BBC as ‘Jump Beat’, The Whereabouts are a young, energetic four piece rhythm & blues, rock & roll band from Kingscourt in Co. Cavan, Ireland. All four lads in The Whereabouts have been playing music from a very young age under the influence of their parents and bands such as The Rolling Stones, Dr. Feelgood, The Doors, The Beatles, The Kinks and Chuck Berry. At this week’s #1 is the Black Lips. The Black Lips are a self-described “flower punk” band from Atlanta, Georgia. Finally for today’s freebie is a band from Japan who has appeared on my radio show as well as on “The TV Show.” I’d like to show you a photo of these two guys but they never allow their photos to be taken, so well, what do they look like? Your guess is as good as mine…. Uh, it’s two guys! Well, that’s it for this week. Hope you have a great weekend! See you next time! 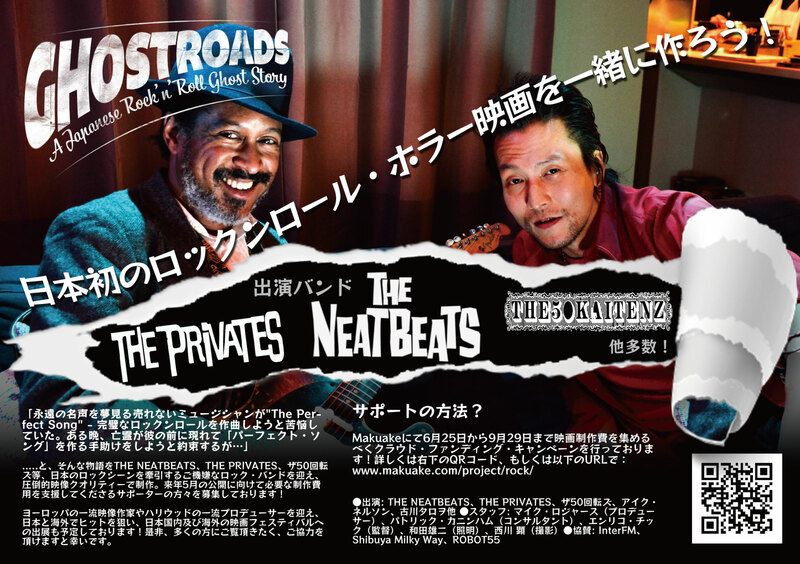 Japanese Culture Magazine, “Saiko” Features A Japanese Rock N Roll Ghost Story! 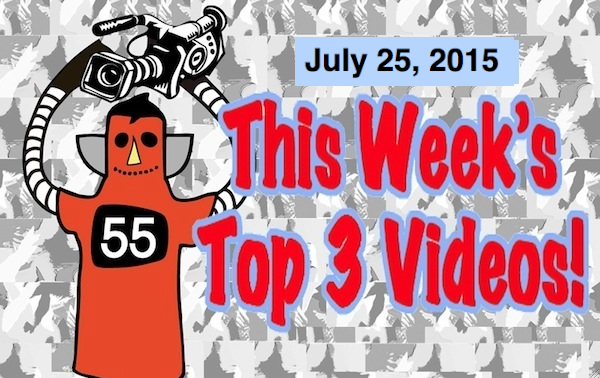 Top 3 Videos for July 10, 2015! Kill My Coquette, The Black Delta Movement, Palaye Royale and Japan’s Own The Villianz! Hey! Everyone! Welcome back! It’s been a whirlwind week. Glad to see you here. Please look it over when you have time! Now, let’s get to this week’s Top 3! First up is a band from Los Angeles! Their name is “Kill My Coquette.” Kill My Coquette is the brainchild of Natalie Denise Sperl who made her way to Hollywood, clawing her way to starring roles in cult horror flicks, studio films, and hit TV shows. This is her band! Next up is The Black Delta Movement. The Black Delta Movement is a heavy garage rock & roll outfit from Kingston Upon Hull, England. At #1 this week is “Palaye Royale.” Palaye Royale is a fashion-art rock band from Las Vegas consisting of members Sebastian Danzig, Remington Leith, & Emerson Barrett. A Japanese Rock N Roll Ghost Story Facebook Page Up! 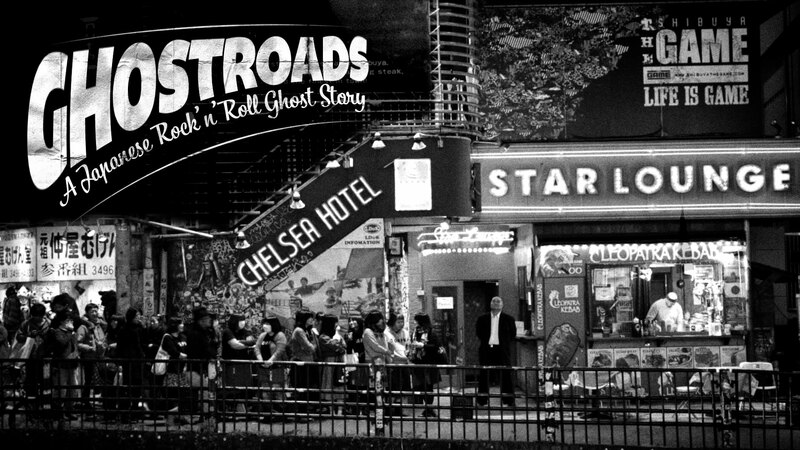 A Japanese Rock N Roll Ghost Story movie now has a Facebook Page. Please come and “Like” Our page! 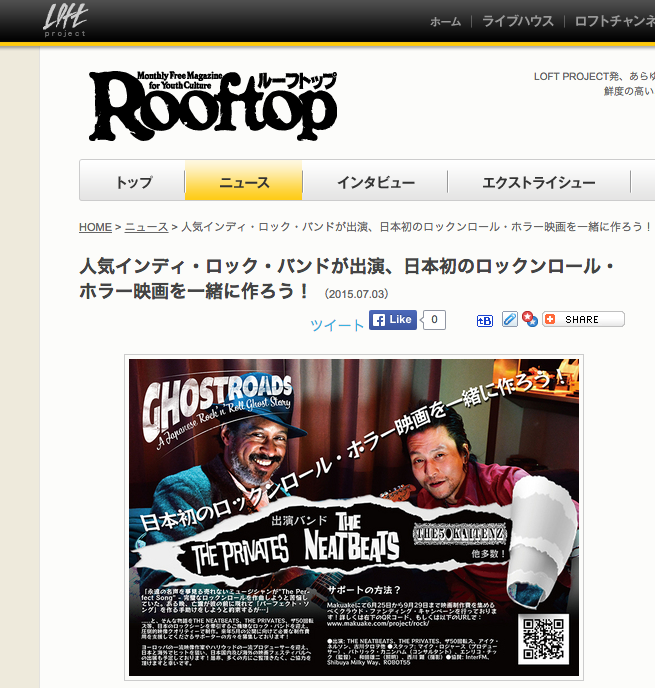 Thanks “Rooftop Magazine” and the Loft!